The United States, uniquely among nations, believes that its writ runs all over the world—and that it has a right to use its courts of law to seek retributive justice even in situations that did not involve American citizens and occurred in a foreign land. Phillip Giraldi is a former counter-terrorism specialist and military intelligence officer of the United States Central Intelligence Agency who spent twenty years overseas in Europe and the Middle East working terrorism cases. He holds an MA and PhD in Modern History from the University of London. He is also a columnist and television commentator and the Executive Director of the Council for the National Interest. He is soon featured at The Herland Report TV Show. The Senate Intelligence Authorization Act (SB 1761), released when few senators were in town, is in the nature of a routine document. It notably calls for “more” in terms of both probing and revealing Russian spying and alleged aggression, but that was to be expected due to the current panic over Moscow and its intentions. It will nevertheless almost certainly become law even though few members of congress will actually bother to read any part of it. The bill has already been approved by the Senate Intelligence Committee and will likely go immediately to a vote in the full Senate when that body reconvenes after the August recess. It will almost certainly be approved unanimously. Indeed, the language suggests that Section 623 is intended to justify taking direct action against WikiLeaks. And it might also establish a precedent which would potentially empower federal law enforcement agencies to go after legitimate media outlets that obtain and publish classified information regarded as critical or even damaging to government policies. As the mainstream media has long believed that it has a legitimate role in exposing malfeasance by government, Section 623 could easily set up a clash between press and law enforcement over what kind of information is usable and what is not. It would be interesting to know who exactly inserted Section 623 in the intelligence authorization bill, but that information is unlikely to surface anytime soon. 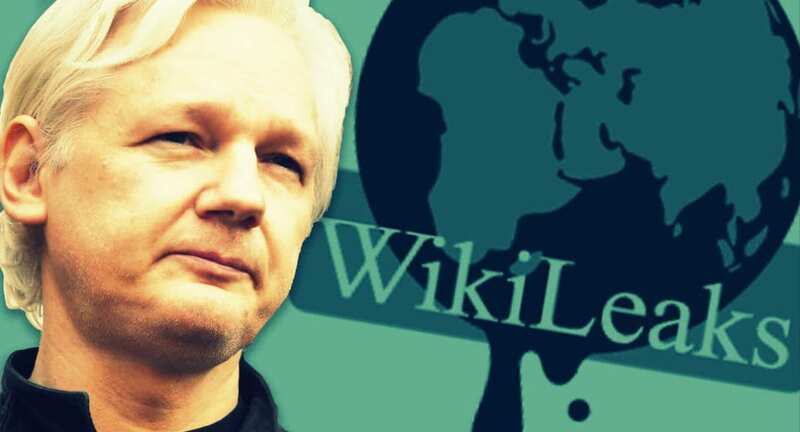 The sentence makes some very specific claims about WikiLeaks and its activities, namely that it operates as a hostile intelligence service, that its leadership constitutes enemy agents who are targeting the United States, and that it operates under the direction of a foreign intelligence agency that is unfriendly to Washington. It concludes that WikiLeaks should be “treated as such,” i.e. confronted as one would an enemy. And the assertion that WikiLeaks is acting as the agent of an unfriendly foreign government is also unproven, even though some in the U.S. government have insisted that is the case and an occasional investigative journalist has sought to connect the dots. Clearly the drafter of the sentence in SB 1761 is implying a Russian relationship, but there is no indisputable evidence that that is true and no hint that anything that WikiLeaks has revealed is propaganda. WikiLeaks derived information is unedited and authentic. It has been played and replayed by mainstream media in the U.S. and worldwide without any hesitation. WikiLeaks might not be your standard media outlet, but it is more like journalism than not, particularly if one accepts that alternative internet sources have become legitimate in their own right. It is no coincidence that the language is similar and it suggests that WikiLeaks and its senior leadership will be targeted by the United States government acting through the Central Intelligence Agency (CIA), the National Security Agency (NSA), and the Federal Bureau of Investigation (FBI). It has previously been reported how the Justice Department has had problems in making a case against WikiLeaks founder Julian Assange. He is an Australian citizen who resides in London in asylum status in the Ecuadorean Embassy and WikiLeaks has no evident physical presence in the United States. Nevertheless, the Attorney General’s office has been hard at work preparing criminal charges, presumably relying on the Espionage Act of 1918, which can be construed as criminalizing the receipt of any classified material by an unauthorized party. Given the clearly expressed desire to punish Assange, he would quite likely be arrested and extradited to the U.S. by the British if he should ever attempt to leave the shelter of the Ecuadorean Embassy. There are already plenty of laws that criminalize the mishandling or theft of classified information, but the government has proven singularly incapable of catching the leakers, so now it will go after the recipients. I would suspect that employees and managers of WikiLeaks, insofar as they can be identified, will be surveilled, harassed, and even arrested. They will have to be especially careful when they travel. WikiLeaks servers and systems will be disrupted through insertion of viruses and intensified hacking. Potential whistleblowers will undoubtedly take note and become reluctant to share information with a resource that is under siege. In short, WikiLeaks will be the enemy just like the old KGB once was, with all the gloves off, and the only difference is that WikiLeaks is “non-state.” By all normal standards, Section 623 is a declaration of war that has important consequences for those who believe that the appropriate media role is to challenge the government and other institutions. Pure fascism and being unleashed internationally! This cannot stand if democracy and the rule of law are to be maintained. If the US doesn’t back down then it will have to be opposed by all real democracies.